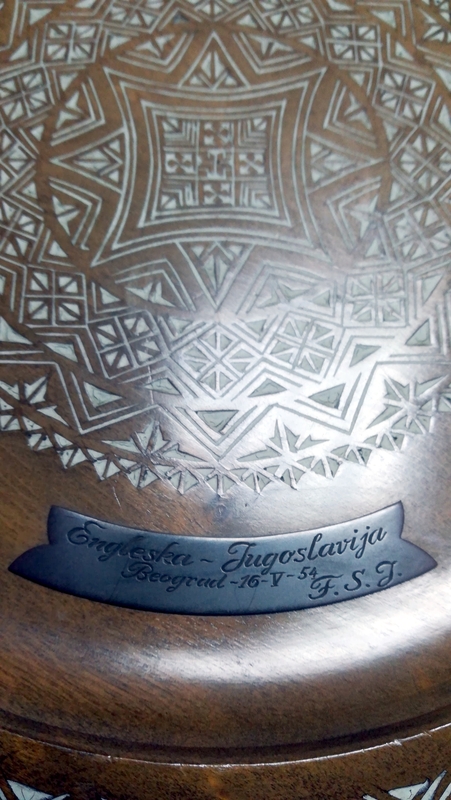 Ahead of England’s 1954 match against the former Yugoslavia in Belgrade, each of England’s players was presented with one of these wooden plates, complete with engraving of match details. 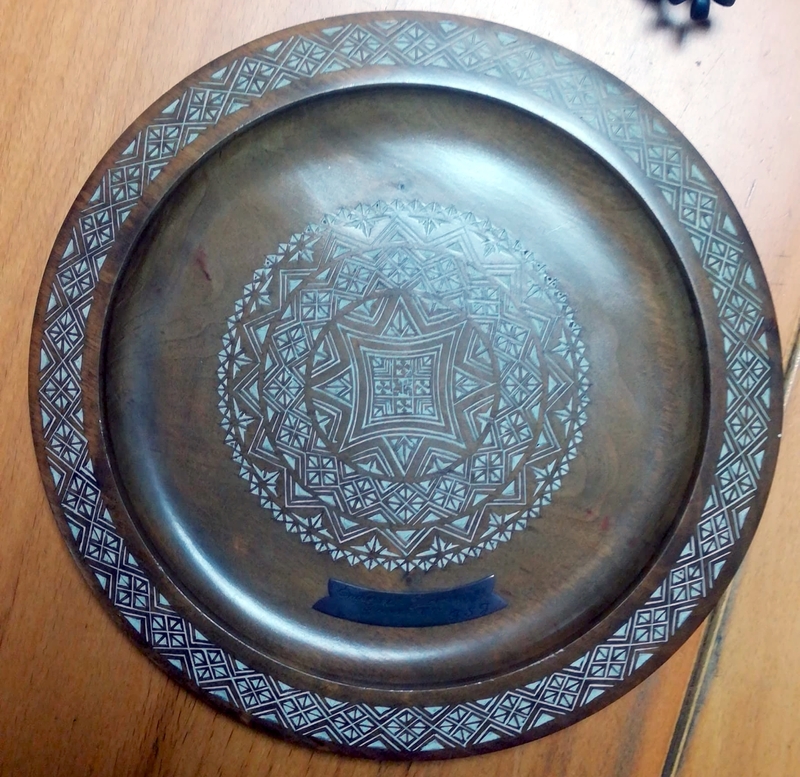 We already have Sir Tom Finney’s plate in the collection, and were recently contacted about this one – although sadly we cannot attribute it to a particular player. A late goal from Rajko Mitic saw Winterbottom’s England lose 1 – 0 at the JNA Stadium.